Delta Force marshal paintballing with the South Coast Stealers. In exciting news from the Delta Force Paintball head office, a special congratulations goes out to Ben Voller, our logistics expert and senior marshal at the South West London paintball centre. Ben has been selected to represent the South Coast Stealers in the 2008 SPL Millennium Series, one of Europe’s leading professional paintball tournaments. The Millennium Series, which follows the x-ball format, currently has 32 teams from throughout Europe competing for the lucrative title of SPL Champions. 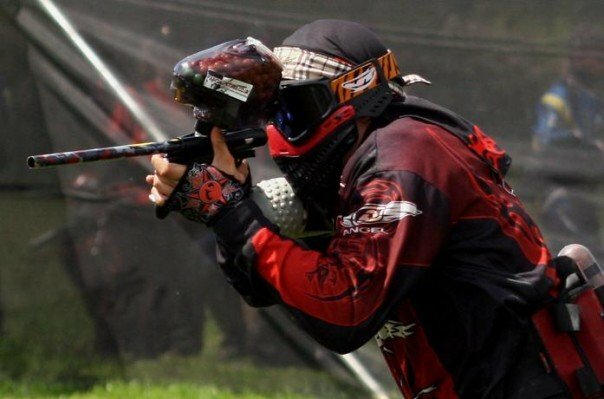 Ben has been an avid paintball player since he first started working for Delta Force Paintball in 2006, and his recent promotion to the South Coast Stealers is a reward for his tireless commitment to paintball over the past 18 months. If you are interested in professional paintball or paintballing at a competitive level then email Delta Force Paintball at info@paintballgames.co.uk.